An alternative video file can be converted from within the Video Mode’s properties. 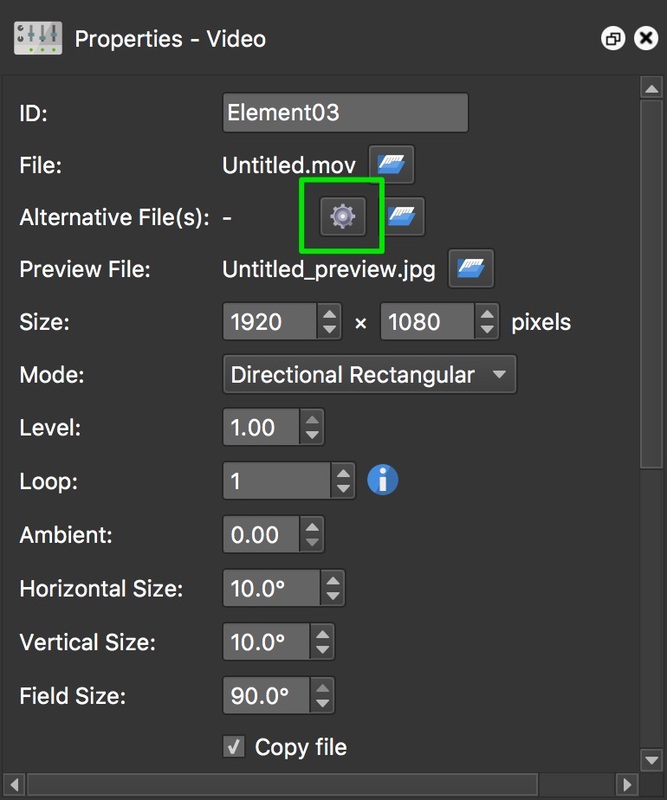 With the video selected, open the Properties panel if not already opened. For Alternative File, click the gear icon to open the converter. In the Convert Video File dialog, add the file path (location) of the source file by clicking Open for the Input File. Change the bit rates. The suggested video bit rate of 2000 kbps is good. For good quality video, it’s best to not go below this. The audio bitrate can be raised to 192 kbps but will produce a larger file. ✭ Use MP4 for the main file and WebM for the alternative.